The monthly Italian technical magazine “Le Strade”, thanks to the kind attention of Dr. Luciana Iorio, Chair of the Global Forum for Road Traffic Safety (WP.1), included a special article into this month’s publication dedicated to the EuroMed Transport Support Project. The Project Team is grateful to Dr. Iorio and to all EuroMed Partner country participants to the 77th session of the Global Forum for Road Traffic Safety (WP.1) under the EuroMed Transport Support project for their contribution. On 8 November 2018, the United Nations Economic Commission for Europe celebrated 50 years of signing the 1968 Conventions. 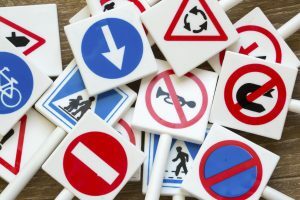 At the turn of their 50th anniversary, the Vienna Conventions on Road Traffic and on Road Signs and Signals from 1968 are more relevant than ever. Whether helping to address the most critical road safety needs, or facilitating the development of automated driving functionalities, reference to these legal texts, which are evolving with technological developments, is a necessity for countries around the world. The two Conventions have a global scope and are important frameworks facilitating international road traffic through uniform traffic rules and harmonized road signs, signals, symbols and markings. With the increase in motor vehicles observed over the past decades and its expected rise in emerging economies – contributing to the anticipated doubling of the number of cars on the roads worldwide by 2040 – the principles of the Conventions are key to improving road safety standards around the world, particularly in low and medium-income countries, where 90% of road fatalities occur. You can see the full UNECE communication here.